With the semester nearing an end and many students looking ahead towards finals, the senior students of the Ernestine M. Raclin School of the Arts have been busy putting together their BFA Exhibition II and BFA Exhibition III. 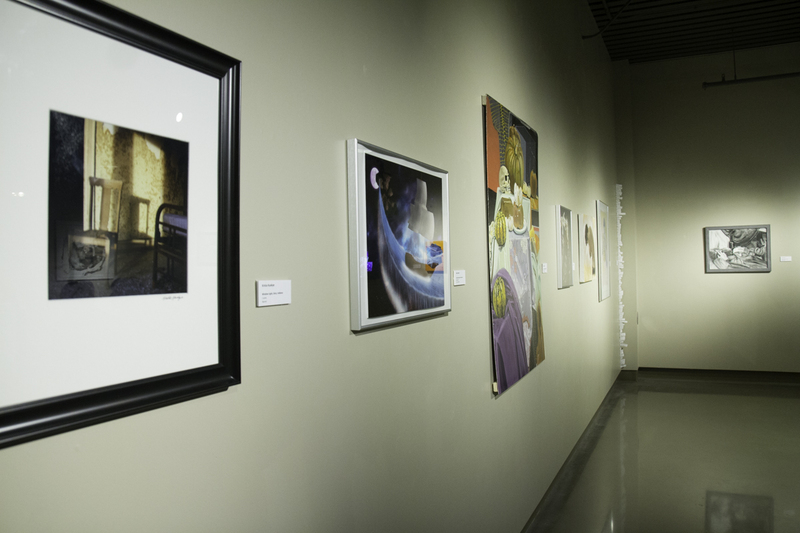 A BFA exhibition is an opportunity for graduating students from the visual arts programs to publicly show their work and who they are as an artist. For many this is a first chance to showcase and talk about the work that they create, and to demonstrate where they have grown to as an artist at IU South Bend. The exhibit includes painters, sculptors, printers, graphic designers, photographers, and digital media artists all with different styles and interest. The gallery is filled with a collection of the finest works the students have to offer with a wide array of art forms ranging from traditional paintings and sculpture to contemporary installations and digital media. The exhibition takes place in two separate sets to accommodate the graduating class. The first BFA Exhibition, as it traditionally is, was in the fall semester during November and December. BFA Exhibition II began on March 27 and runs through April 8 with a reception and featured an artist talk on Thursday March 30 from 4:30-7:00 pm, light refreshments were provided. BFA Exhibition III begins Monday April 17 and goes through April 29 with the reception on April 20 also from 4:30-7:00 pm. All are welcome and encouraged to come support IU South Bend's graduating artists and all of their hard work, and it’s a great way to get a break from all of the stressful finals prep! You can visit the exhibition at Art Gallery located on the first floor in the central hallway of the Education and Arts building on campus, all events are free. The gallery is open from 12-5pm Monday through Saturday, and is open to the public. Interested in studying Fine Art?